Friday, March 6, 4–7 p.m.
Saturday, March 7, 12–1 p.m.
Saturday, March 7, 1–4 p.m. 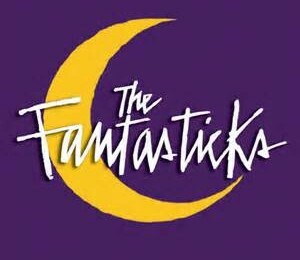 The Fantasticks, book & lyrics by Tom Jones & music by Harvey Schmidt, is the world’s longest running musical – running for over 52 years in Manhattan and entrancing generations of audiences. The Fantasticks is a funny and romantic musical about a boy, a girl, two fathers and a wall. The narrator, El Gallo, originally played by Jerry Orbach, invites the audience to use their imagination and follow him into a world of moonlight and magic. The boy and girl fall in love, grow apart, and finally find their way back to each other after realizing the truth in El Gallo’s words that “without a hurt, the heart is hollow”. The famous score, which includes the classics “Try To Remember,” “They Were You” and “Soon It’s Gonna Rain,” is as timeless as the story itself. Wed, Fri 4-7 p.m. & Sat 12-5 p.m.
April 24–26, May 1–3 Fridays & Saturdays @ 7:30 p.m., Sundays @ 2 p.m.